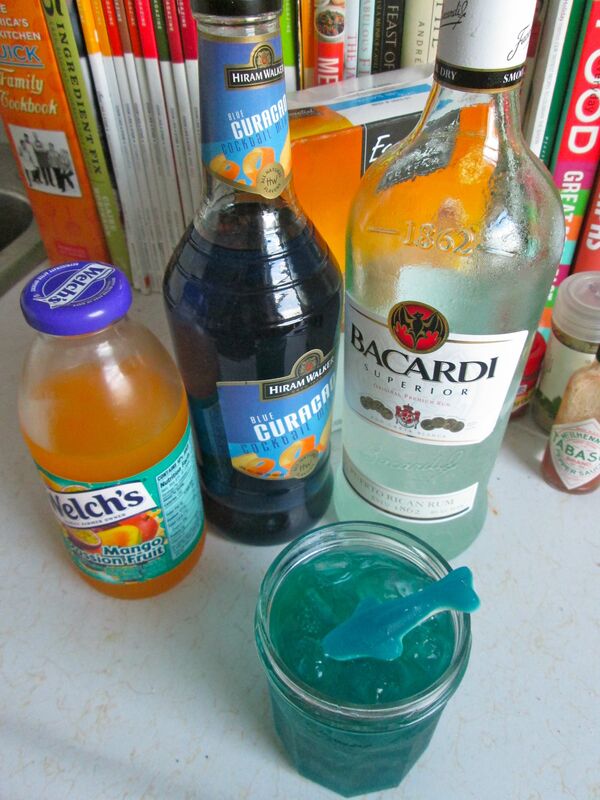 So it’s time for my third installment of my Shark Week inspired menu, and of course, I need a drink (don’t we all). 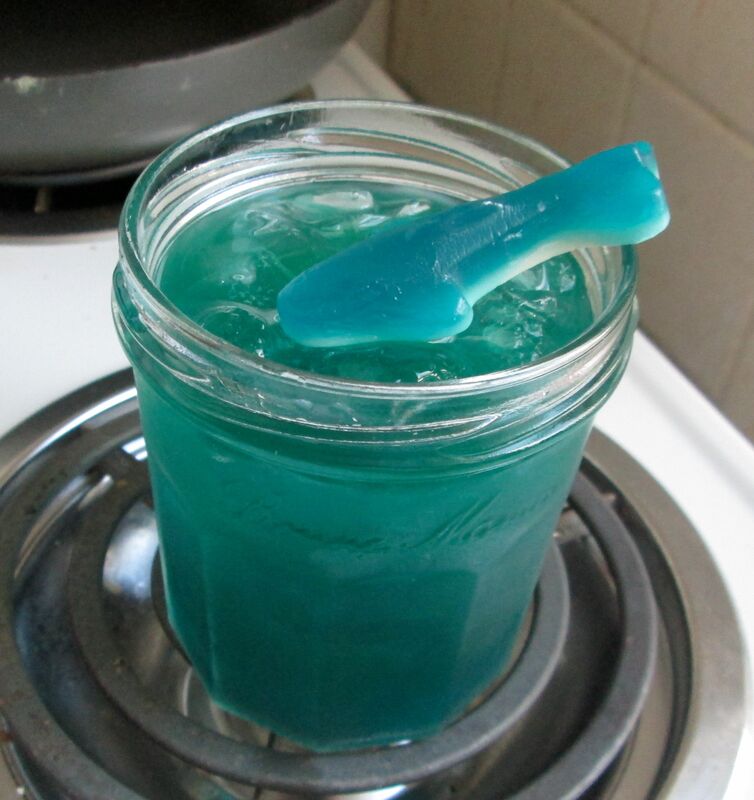 I came up with this cocktail, which I call “Shark Infested Waters” it’s a little sweet, which The Russian loved, but if you’re more of a tart drinker use lemon or grapefruit instead of mango juice. Pineapple juice is another awesome option. Sip on this while enjoying some bites on the beach (get it? haha). 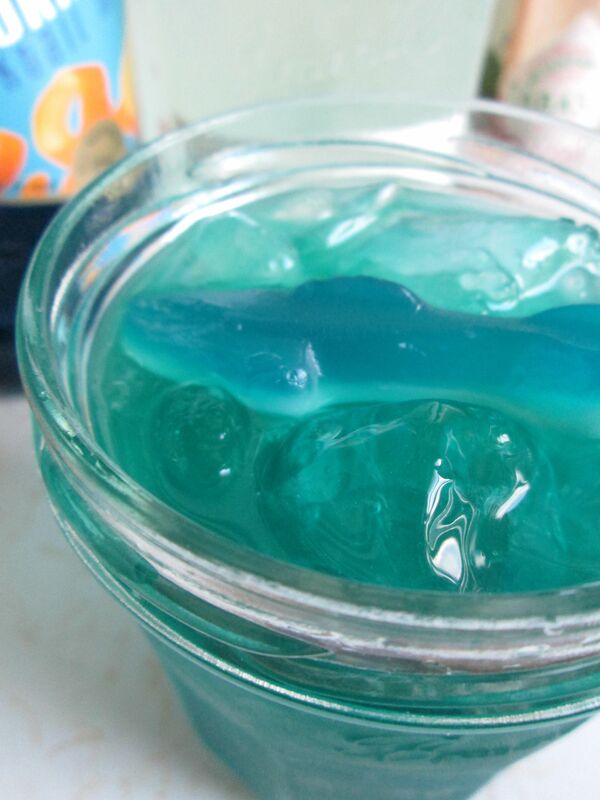 Shake over rocks, garnish with shark gummy and enjoy! watch the shark swim through your drink, be careful not to let it too close to your mouth!